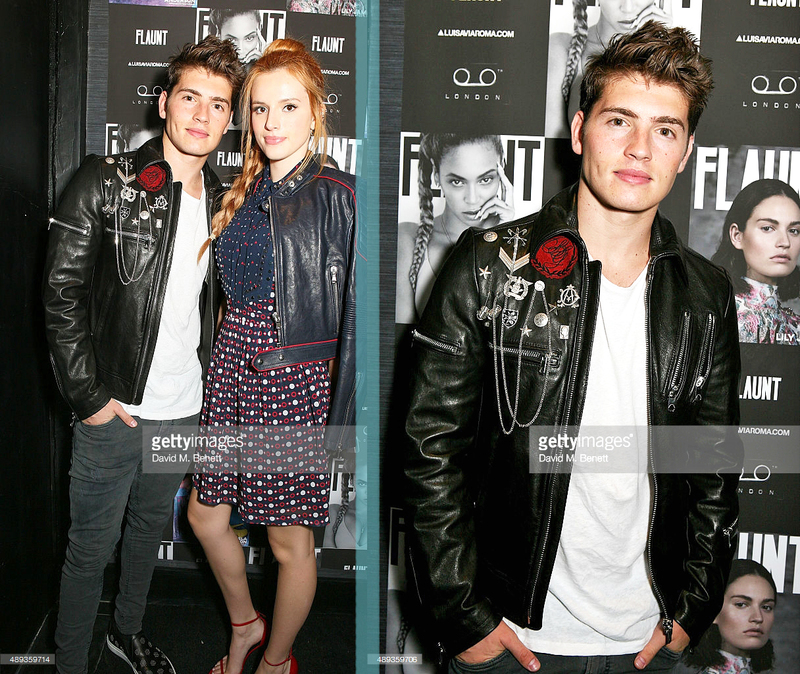 Gregg Sulkin and Bella Thorne attend the FLAUNT New Issue Launch Party during London Fashion Week at Tape London on September 20, 2015 in London, England. The details on this jacket are brilliant. What do you think? 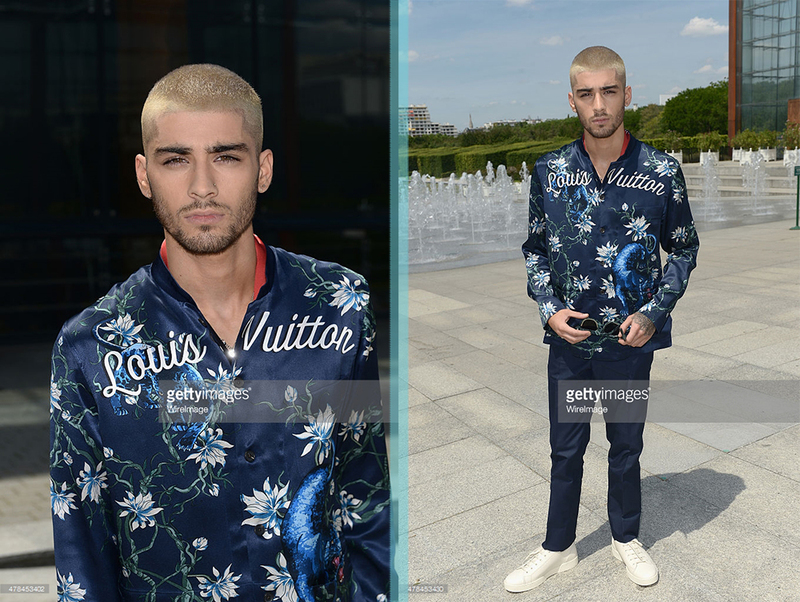 Was Zayn’s look a total hit or a miss? You cannot go wrong with a graphite suit tailored to perfection, accompanied by a crisp immaculate white shirt, and finished off with a timeless navy blue polka dot tie. Even though David is dressed head to toe in black.. the sheen in his tie and blazer trim give his look both visual interest and a strong sense of style. Casual Shirt Dressy Suit: Yay or Nay? 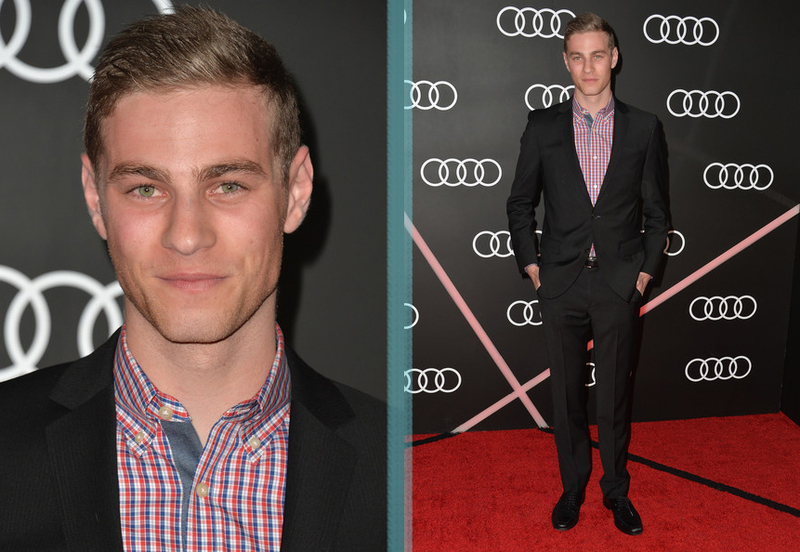 Cameron showed up to a red carpet event in the above outfit. The shirt by itself is a nice casual shirt and the suit by itself is a snazzy well tailored suit… Now I’m definitely all for guys switching it up on the red carpet or for a fancy black tie event and not always wearing the typical black suit white shirt and black bow tie/tie.. but I’m not sure the execution of this look really works.. What do you think?